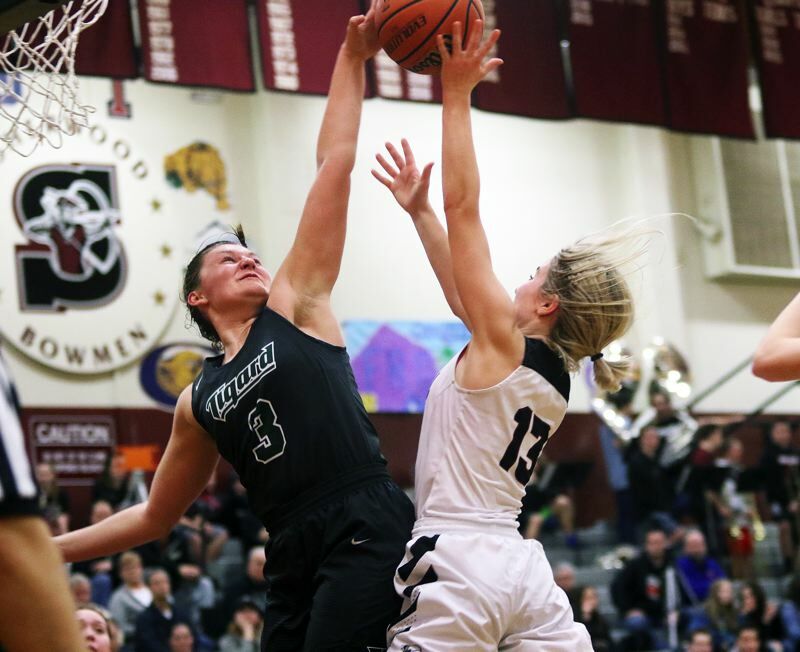 SHERWOOD — When the Tigard and Sherwood high school girls basketball teams face off, it's usually a battle. And it's a battle where every possession seems to matter. Well, thanks to a big fourth-quarter performance, the Tigers came away victorious in the squads' latest battle. 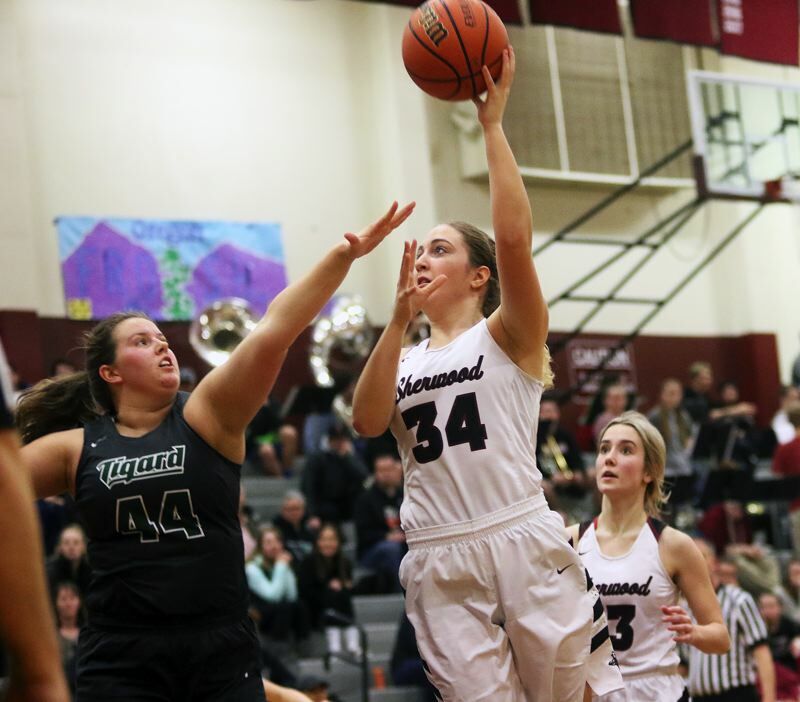 Tigard, breaking open a close contest by outscoring the Lady Bowmen 12-2 in the final stanza, came away with a 34-22 victory in a Three Rivers League game played last Thursday at Sherwood High School. 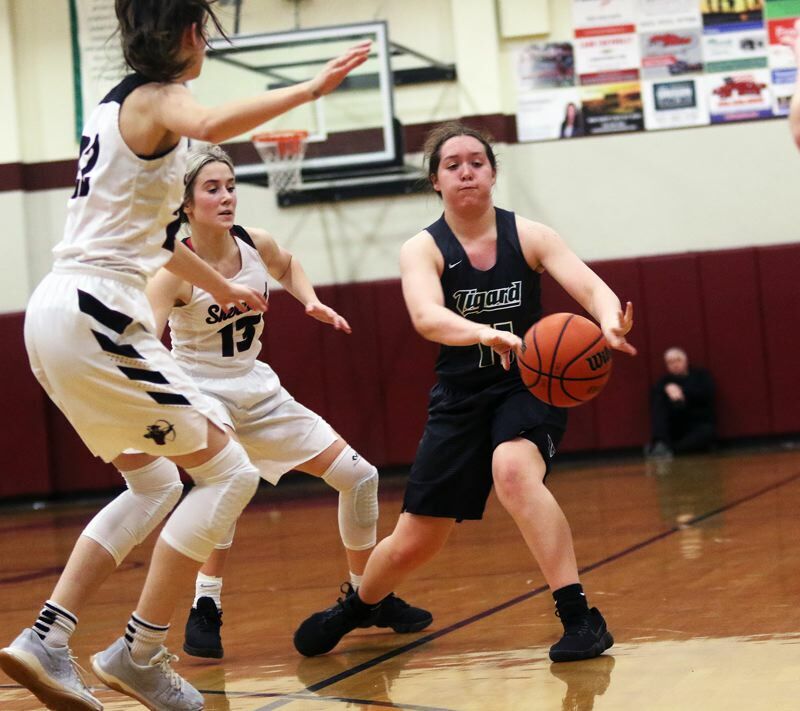 "It's aways tough to play here," said Tigard junior guard Paige LaFountain, who scored nine points for the Tigers in the victory. "I'm glad we pulled it off." 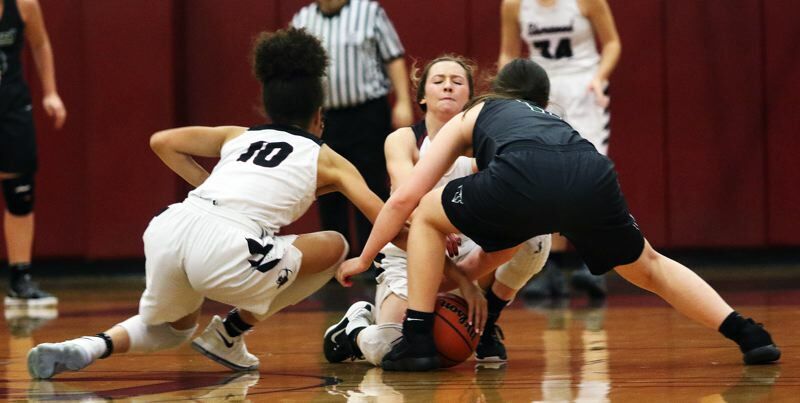 "It's always one of the toughest games when we play them," said Tigard senior guard Gabby McGaughey. "It's a struggle here. But, being a senior, I really wanted to win my last game here." With the victory, Tigard improved to 9-0 in TRL games (14-3 overall) at that point, keeping the Tigers alone in first place in the league standings. "It was a good win," LaFountain said. Sherwood moved to 3-6 in TRL play (8-9 overall) with the loss, putting the Lady Bowmen in sixth place in the league standings at that point. "I thought it went well," Sherwood junior post Cali Etherington said. "I think we improved since the last time we played them (a 36-22 loss at Tigard back on Dec. 11)." The Tigers got off to a fast start in last week's rematch. Layups by junior post Dani Lyons and junior guard Campbell Gray, and three-point baskets by McGaughey and LaFountain gave Tigard a 10-2 lead with 2 minutes and 31 seconds left to play in the first quarter. But that's when Sherwood started to battle back. The Lady Bowmen, getting a free throw by sophomore guard Ava Boughey following a steal, a short-range bank shot by junior post Kaytlin Cooke and a pair of free throws by Etherington, trimmed the Tigard lead to 10-7 at the end of the opening period. Sherwood kept rolling in the second quarter. Junior guard Aubrie Emmons sank a three-pointer to open the period, tying the game at 10-10. The Lady Bowmen then took their first lead of the game, at 12-10, when senior guard Lauren Scarvie went 2 for 2 from the free throw line with 7:03 left to play in the first half. Now, it was Tigard's turn to rally. 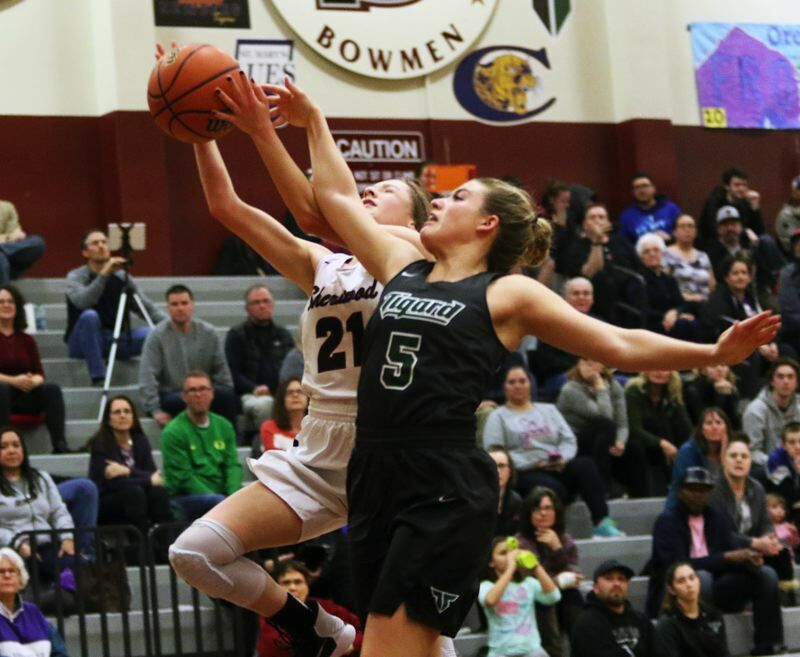 Tiger sophomore guard Delaney Leavitt sank a 17-foot jumper, McGaughey scored on a drive to the hoop and Leavitt followed that with a three-pointer, giving Tigard a 17-12 lead with 2:42 left in the quarter. But the Tigers wouldn't be able to score again in the first half. Sherwood, getting a follow-up basket by freshman Kylah Williams with just seven seconds left in the period, cut the Tigard lead to 17-14 at the intermission. Both teams' defenses took over in the third quarter. Tigard got a free throw by Lyons, a pair of foul shots from LaFountain and a driving 6-foot jumper y Gray to open a 22-14 lead with 4:52 left in the period. But the Tigers wouldn't be able to score again in the quarter. Meanwhile, Sherwood, which wasn't able to score in the first 3:25 of the quarter, finished the period with four straight points by Etherington and a pair of free throws by Boughey, coming with just 0:00.6 showing on the clock, to cut the margin to 22-20 going into the fourth quarter. It looked like the Lady Bowmen would have momentum on its side going into the final stanza. But Tigard had different ideas. The Tigers got a pair of free throws from both Gray and LaFountain to open the fourth quarter. Lyons then tallied a follow-up basket and LaFountain followed that up with a basket on a 13-foot jumper, pushing the Tigard lead to 30-20 with 4:28 left in the game. The Tigers kept rolling from there. Gray scored four straight points to cap off a 12-0 run, giving Tigard a 34-20 advantage with 1:35 remaining. Sherwood broke the Tiger run with a basket on a drive by Emmons, making the score 34-22 with 0:50 remaining. 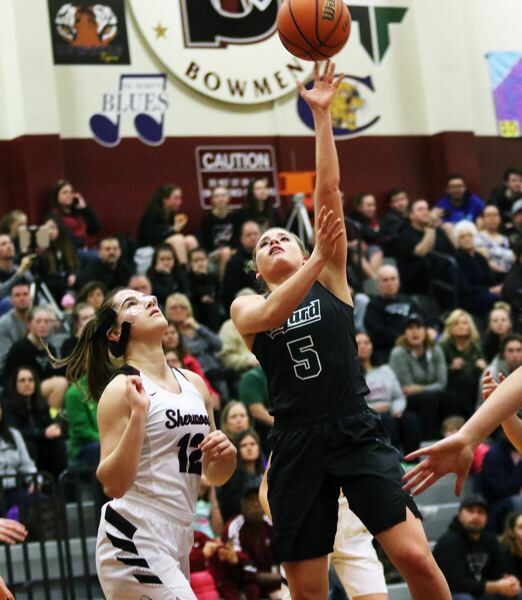 But the Lady Bowmen wouldn't be able to score again, leaving Tigard with the 12-point victory. "We knew we couldn't let them get the lead," LaFountain said of the Tigers' fourth-quarter run. "We attacked on offense and took care of the ball." "We had to come out and play hard in the second half," McGaughey said. "We had to relax and play smarter." Gray led all scorers in the contest with 10 points. She also had 10 rebounds and three steals. LaFountain had five rebounds, three steals and three assists to go with her nine points. Lyons, McGaughey and Leavitt each added five points for the Tigers. Tigard, as a team, made 11 of 35 shots from the field, with three three-point baskets, and nine of 11 free-throw attempts. The Tigers had 15 turnovers in the contest, but just two of those came in the second half. "Having just two turnovers in the second half was the difference," Tigard coach Steve Naylor said. "We expected it to be tough. We were ready to play in the fourth quarter." Etherington led the Lady Bowmen with six points in the contest. Emmons had five points and two steals and Scarvie had four points and two steals. Sherwood, as a team, made six of 30 shots from the field, with one three-pointer, and nine of 18 free-throw attempts. "They're really tough, and it's fun playing them every year," Etherington said. "This game will help make us better." On Friday, Tigard scored a 52-36 win over Lakeridge in a league game played at Tigard High School. Leavitt scored 18 points in that victory. Gray added 12 points and LaFountain scored 10. On Saturday, Sherwood posted a 48-23 victory over Newberg in a league tilt played at Newberg High School. Scarvie sank four three-pointers and scored 18 points in that game. Etherington added eight points. On Tuesday, Tigard won 56-42 in a key league game at West Linn. Gray had 26 points and 10 rebounds in the victory. Leavitt added 17 points. With that win, the Tigers opened up a two-game lead over the second-place Lions. Sherwood won 39-36, in overtime, at home against Canby. Scarvie led the Lady Bowmen with 18 points in the victory. 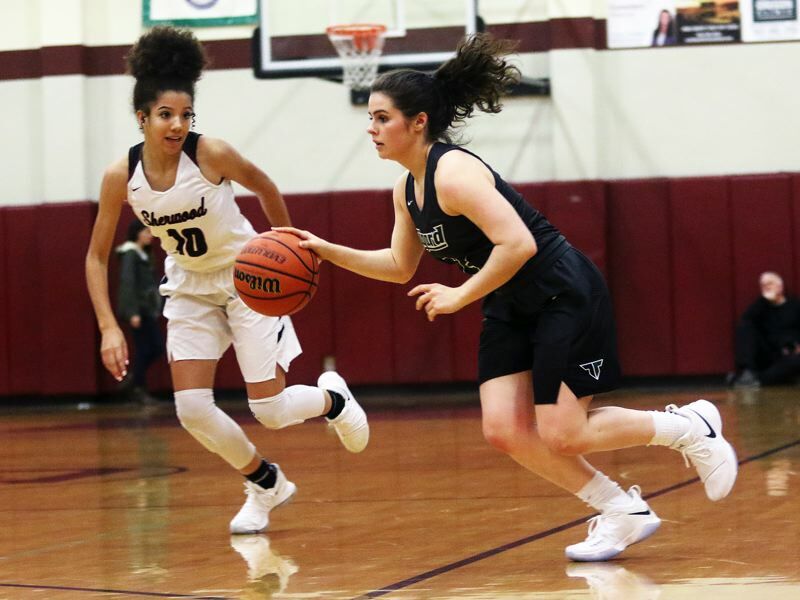 Tigard will be back in action on Friday, when it plays at St. Mary's Academy at 7 p.m. On Tuesday, Tigard will host Newberg at 7 p.m. and Sherwood will play at Lakeridge at 7:30 p.m.